Ordo Astri serves to reveal an Independent Thelemic School of the Mysteries to those so prepared. The grades of initiation in the O∴ A∴ are obtained by personal work done and the keeping of a magical diary Record. Our work is to practice and understand the wisdom of Aiwass. A vehicle by which magicians may develop supreme facility in the magical arts towards the end of attaining the Knowledge and Conversation of the Holy Guardian Angel. This may be defined as the personal realisation of cosmic consciousness. In other terms it may be defined as Gnosis or direct experience of the Mysteries. The core tenets of Thelema are outstandingly simple: “Do what thou wilt shall be the whole of the Law” and “Love is the law, love under will.” Thelema is the law of love—the spiritual intelligence or True Will that unites and harmonises all things. It is therefore a law based on relationship. The universality of the law rests upon the fact that it is particular and inclusive, respecting differences between stars and recognising that each complements the rest. Ordo Astri fulfils the role of Outer Court to the Order, which is based on the Rosicrucian system of magical grades or degrees equating to the Hermetic Tree of Life. We have developed a comprehensive and internally consistent system of magick and Hermetic Tantra-yoga that has been developed from the hermetic tradition of the ages. There is an emphasis on the Gods of Egypt; the Egyptian name of the Order is Shemsu en Khabs. 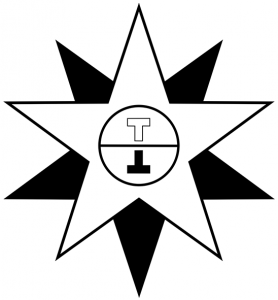 We are a Thelemic Order, created in the ultraviolet light of the (Egyptian) Book of the Law, called Liber AL vel Legis. Aleister Crowley and Rose Edith Kelly, Ouarda the Seer, were the recipients of a powerful magical transmission in Cairo, 1904. Some of the Book of the Law addresses the thoughts and questions of Crowley, some of it conveys knowledge of the Theban Setian cult of Mentu, reserved for Initiates. Some passages have served to conceal the secret doctrine from Crowley and his followers. The teachings of Aiwass are nonetheless consistent. To us, being Thelemic does not mean that we unconditionally accept Aleister Crowley’s methods, teaching or philosophy. However, we do not regard Thelema as a religion, and neither did Crowley. Where belief begins, knowledge ends. Initiation in the O∴ A∴ is achieved through personal work done. Each grade has an Oath and a Task to accomplish, primarily towards the ends of the Knowledge and Conversation of the Holy Guardian Angel. The Hermetic method is necessarily elitist. Few people are able to work in this fashion over a lengthy period of time, or are in any way suited to it. 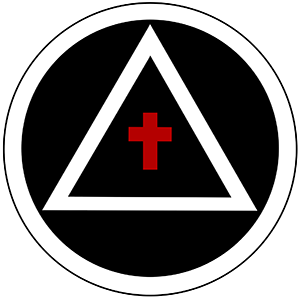 While Thelema is our basis, the O∴ A∴ does not serve as a vehicle for the rites, ceremonies or practices of Aleister Crowley or the O. T. O. There follows a general outline of the Great Work as structured through the grades or degrees of the Order. In reality the first grade, though it is not named thus, is that of Student. The aspirant must demonstrate they have obtained an intellectual understanding of the work before entering into Probationership. 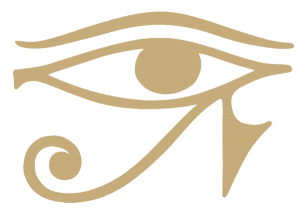 Horus is the universal symbol or type of the Holy Guardian Angel. Like all Egyptian gods, Horus is polymorphic and thus able to assume many forms such as Hoor-Apep, Heru-ra-ha and Hormaku. The Great Work is to realise the True Self through the Knowledge and Conversation of the Holy Guardian Angel and to help others accomplish the same. In our magical system, based on the Hermetic Tree of Life, there are three critical points in the journey of the Initiate, which are marked by the three veils of the Tree of Life. At each of these an adversary may be encountered as a force whose strength appears to match that of the aspirant, if not to actually exceed it. The Dweller on the Threshold is first encountered before the person even sets a foot firmly on the path. This is the first spiritual crossroads, encountered as the person considers making a firm commitment to the Great Work. They are greatly hindered by their lack of knowledge and experience. No sooner do they even consider the step, perhaps making tenuous contact with Ordo Astri, than a tumultuous multitude appears, shouting and screaming at them to turn back. The rebellion may manifest in the voices and actions of other people, or the circumstances of the person’s life, but the real source is the undisciplined and disorganised state of the mind and soul of the candidate. It may also be that the person does not, in reality, wish to know any truth. In that case, they will soon end their association with Ordo Astri. The second critical point is in the attainment of the Knowledge and Conversation of the Holy Guardian Angel. Even while the aspirant is preparing their Oath and meditating on the shining one or augoedes, the Four Evil Princes of the World are stirring. These antagonistic forces work day and night to undo aspiring magicians and thwart their true purpose. The third critical point is called the crossing of the Abyss, which is required before a person becomes a Master of the Temple. Crossing the Abyss requires encountering, entirely alone and without help, a force that seems to be utterly opposed to the further progress of the aspirant. Furthermore, it requires the aspirant to become ‘self-slain’, which is to say they must achieve the renunciation of their ego-self and yet retain their sanity. Only thus may the nature of the true self, and that which is called divine (Theos), be fully realised without the obfuscation of ego identification. There are also mysteries greater than that. There follows a precis of the three Orders: The Golden Dawn, Rose Cross and Silver Star. The student must be prepared to make a deep and prolonged study of esoteric literature, historical and modern. The (Egyptian) Book of the Law should be studied from the outset, preferably before making contact with Ordo Astri. The principal work of the Probationer is to discover the secret nature of their self. To this end, they will agree to perform various tasks, all the while keeping a magical diary Record of their work. Traditionally, it is said they must seek to obtain a measure of control over the nature and powers of their own being. The magical power or vision that marks the true admission to the grade of Neophyte is that of the Holy Guardian Angel, or of Adonai. The rest of the degrees in the Golden Dawn are really a continuation and development of this seeking out of the secret nature of the self and discovering the True Will. The first four degrees of Neophyte, Zelator, Practicus and Philosophus are elemental degrees corresponding to Earth, Air, Water and Fire, and the four faces of the Sphinx of Nature. Malkuth symbolises the Universe as the summation of the whole Tree of Life. The other three have planetary correspondences. Yesod (Zelator) is the sphere of the Moon, Hod (Practicus) is the sphere of Mercury, and Netzach (Philosophus) is the sphere of Venus. The Dominus Liminis (‘Lord of the Threshold’) is the link or passage between the 1st and 2nd Orders—it should all the while be noted that there is in reality but one Order that has three divisions for the sake of classification. The Dominus Liminis grade has no sephirotic correspondence but is theoretically located on the crossroads of the 25th and 27th paths. Elementally, the Dominus Liminis grade is Spirit as the equilibration of the four elements below. Thus, as these elements have their correspondence in the man and woman, each must seek ways to achieve this equilibrium in themselves. The Dominus Liminis must direct their aspiration to the Great Work and become illuminated by their True Will. In this grade the person should perfect their knowledge and practice of all the rituals and other methods of the Outer Order of the Golden Dawn. The magical power or vision marking true admission to the Second Order is the vision of the harmony of all things. This is conveyed by the Holy Guardian Angel. The Adeptus Minor grade (‘Younger Magician’) refers to Tiphereth, the sixth sephira on the Qabalistic Tree of Life, and the Sun of our solar system. At this stage of the journey the aspirant must become a mystic in the true sense of the word, for the Knowledge and Conversation of the Holy Guardian Angel is a mystical experience. The Adeptus Minor has this as their sole task to do and to achieve. The Adeptus Minor truly becomes a member of the Inner Order of the Rosy Cross when they have attained the Knowledge and Conversation of the Holy Guardian Angel. They then realise themselves as an ‘Adeptus Within’ (i.e., Within the Sanctuary). The Adeptus Major (‘Senior Magician’ or ‘Master of Magick’) refers to Geburah, the fifth sephira on the Qabalistic Tree of Life. This is the chakra of Mars. Spiritually, it corresponds to Death and so the symbolism of initiation is the Vault or Sarcophagus. The task of the Adeptus Major is to realise their every thought, word and deed as derived from the light of their Holy Guardian Angel. The Adeptus Major obtains a general mastery of magick, including that which is called Jnanamudra in our system. The Adeptus Exemptus (‘Released’) grade refers to Chesed, the fourth sephira on the Qabalistic Tree of Life. This is the chakra of Jupiter. Spiritually, this is the New Life that follows the ritual Death of the Adeptus Major. The Adeptus Exemptus must use all knowledge in the love of Truth and Wisdom. They must emancipate their thought from causal determinism and become a pure vehicle for the influence of the Order. This is to prepare them for the critical confrontation with the crossing of the Abyss. The Babe of the Abyss is the link or passage between the Second and Third Orders. This has no sephirotic correspondence or paths save Da’ath, ‘Knowledge’, the non-sephira marked by the Abyss of the Tree of Life. At the threshold of Da’ath is the false crown of Reason, the Qabalistic Ruach. It is necessary to take the Oath of the Abyss to transcend this, the ultimate Dweller on the Threshold, and truly partake of the spiritual Neschemah or divine Intuition that is Binah and the summation of the supernals. The Magister Templi is one that has directly received and understood the word of the Magus. The Magister Templi grade (‘Master of the Temple’) refers to Binah, the third sephira on the Qabalistic Tree of Life. This is the chakra of Saturn. The Magister Templi has taken the Oath of the Abyss, which is “to interpret every phenomenon as a particular dealing of God with my Soul”. The Magister Templi must become the complete mystic, an adept of impersonal love (Agape); they must perfect their Understanding of the Universe, and achieve Mahamudra as that is understood in our system. 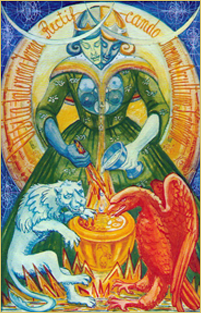 The Magus grade (‘Wizard’) refers to Chokmah, the second sephira on the Qabalistic Tree of Life. The traditional mundane chakra is the Zodiac (Mazloth), the starry girdle of Nuit. This grade is very particular to the True Will. The Magus must practice wisdom in all ways. Chokmah is the sephirotic location of the Logos or Word; the Magister hears that word. The Magus must “follow the love of Nu in the star-lit heaven”, and by then understands all the paths that link the supernal sephiroth. The Ipsissimus grade (‘Own True Self’) refers to Kether, the first sephira on the Qabalistic Tree of Life. The mundane chakra is the Primum Mobile, the ‘first movement’. The Ipsissimus knows every phenomenon as God, which is to know the Soul of the World. The Ipsissimus is Master of all modes of existence or being and has passed utterly beyond. A real Magical Oath cannot be broken: you think it can, but it can’t. This is the advantage of a real Magical Oath. Although anyone may solemnly write their name to a magical Oath, that does not, in itself, make it ‘real’. A piece of paper, after all, is just that. In the same way, a person may be admitted to membership of an Order but that does not mean they have entered any sanctuary in the real sense. No ritual or ceremony will confer initiation of its own accord; no person on earth may confer true initiation on another. Initiation and true membership of the Order are sublime matters of the soul. The work begins, nonetheless, with the Oath of Dedication (or Probationer Oath). The Ordo Astri Imprimatur book for Probationers is The Enterer of the Threshold. The Ordo Astri Journal, The 93 Current, is sent once per month when the Sun enters a new sign of the Zodiac. We aim at all times to provide excellent, high quality literary content to our readers. The Journal is free of charge and is delivered by email.